Use a black balloon and write on it with white ink. Could make for some cute couples photography. 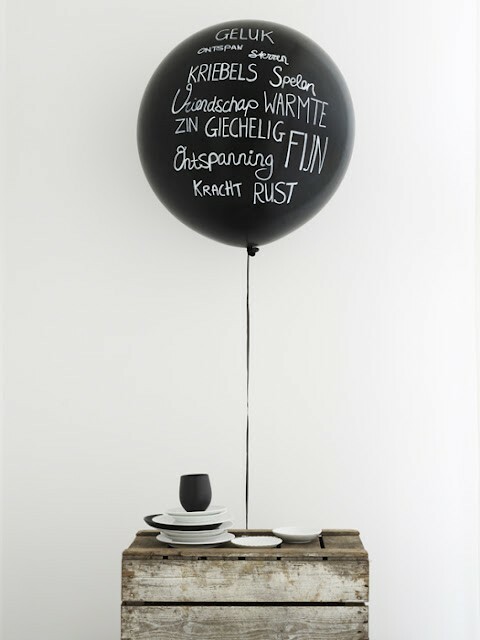 Write something sweet on a black balloon with stunning bright white ink. You can buy black 3' balloons here. And buy white permanent markers that can draw on rubber or glass here.